This cushion provides comfort for those sitting for long periods on their office chairs, wheelchairs, car seats or even during their flight. Cloth and plastic cover for easy transportation. Dimensions: Width: 18", Depth: 14.5", Height: 2.75"
Can be used with regular chairs, wheelchairs, car seats and airline seats. This cushion provides comfort for those sitting for long periods on their office chairs, wheelchairs, car seats or even during their flight. 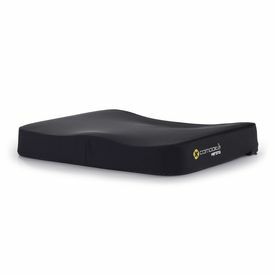 Contoured specifically for maximum comfort Coccyx or tailbone relief through special contour High resilience foam provides comfort and support Water-proof removable cushion cover Non-skid bottom fabric Cloth and plastic cover for easy transportation. 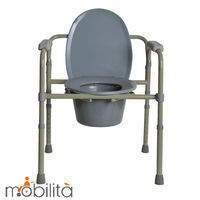 Dimensions: Width: 18", Depth: 14.5", Height: 2.75" Can be used with regular chairs, wheelchairs, car seats and airline seats.